The official two day test of the European Le Mans Series started on a wet and damp Paul Ricard circuit in the south of France yesterday. 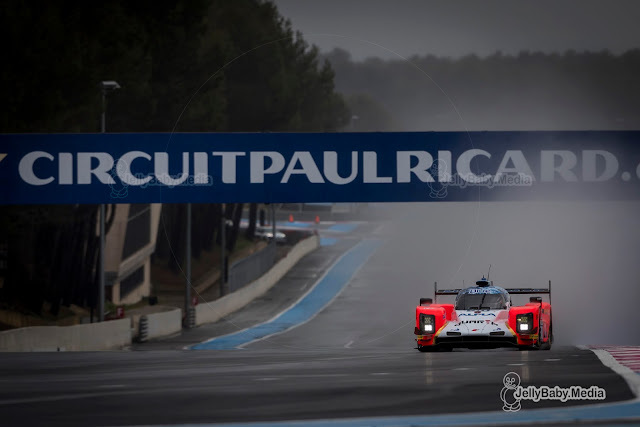 Quite a contrast with the sunshine we had down here over the weekend during the FIA WEC prologue. 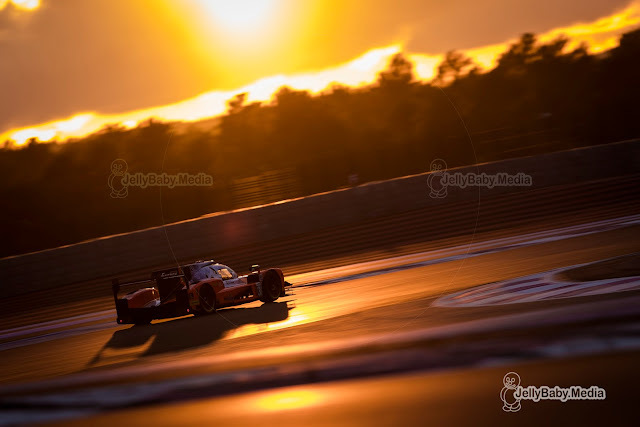 By the end of the day newcomes AVF by Adrian Valles had set the fastest time of the field in their Gibson powered Oreca 07. Tricky conditions in the first session of the day with a few full course yellows and two short red flags during the four hour session. It wasn't Porsches day yesterday with two 911's going into the barriers early in the session. The #80 Ebimotors got damaged when Fabio Babini clipped the barriers with an impact on the front and rear of the car. The #77 Proton Porsche also went hard into the guard rails, presumably with some chassis damage to the brand new car. Up until now it's unclear whether the team will be able to race on Sunday. Track conditions improved however and the second part of the session even saw a few hints of sunshine by lunchtime. 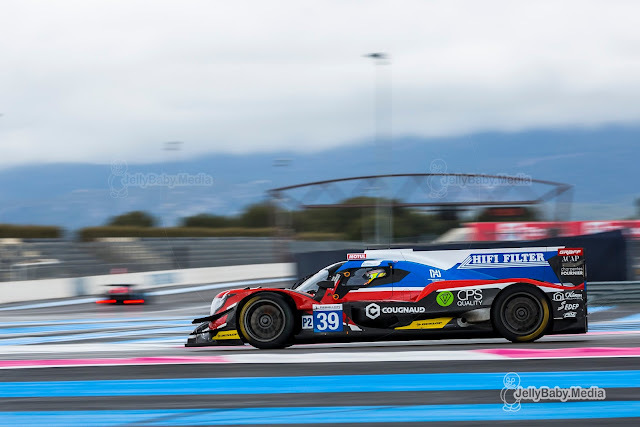 Tristan Gommendy set the fastest time of the morning in his #39 Graff Oreca with a 1:44.012. He held off Victor Shaytar in the #35 SMP Racing Dallara who's best lap was 0.159 seconds slower than the Frenchman. Third fastest was United Autosports Hugo de Sadeleer in the #32 Ligier ahead of Enzo Guibbert in the #40 G-Drive and Bruno Senna in the second United Autosports Ligier. 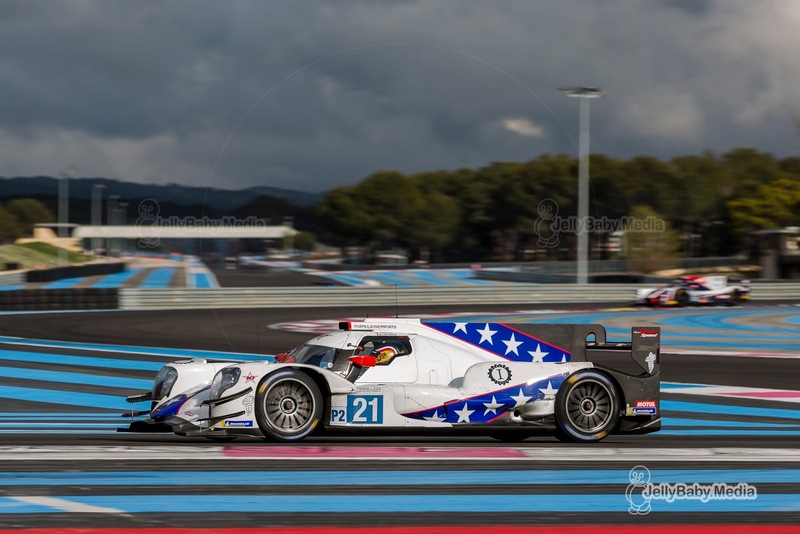 Last year's champion Sean Rayhall set the fastest time in the LMP2 class with his #2 United Autosports Ligier. His time of 1.53.081 was 0.188 seconds faster than Matthieu Lahaye in the #17 Ultimate Norma M30. David Droux in the #19 M Racing-YMR Norma was third quickest. Alexander Toril went off in the #8 DKR Engineering Norma, without causing any serious damage. 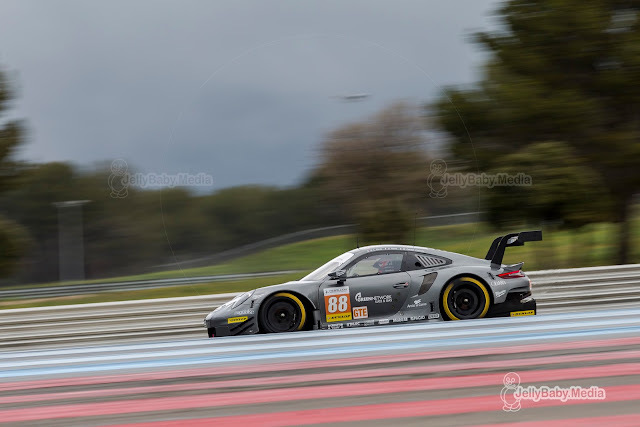 The sole remaining #88 Proton Competition Porsche of Gianluca Roda was quickest in the GTE class in a time of 1.54.628. 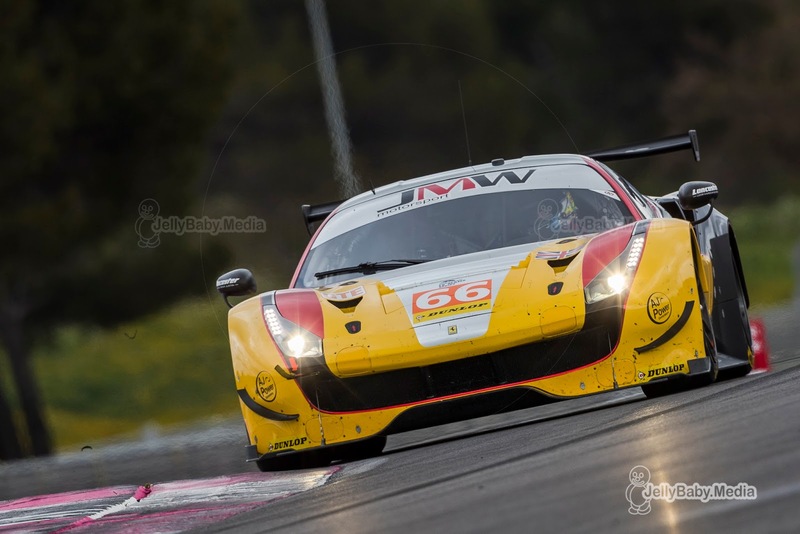 Miguel Molina in the #66 JMW Ferrari set the second fastest time, 0.242 seconds behind the Porsche. Rounding out the top 3 was Andrea Bertolini in the Krohn Racing Ferrari. Better conditions in the afternoon session, now on a completely dry track and the sun occasionally coming through the clouds. Nicolas Lapierre set the pace in the second session of the day, steering his #21 Dragonspeed Oreca round in 1.41.769. Paul Lafargue set the second fastest time in the #28 IDEC Sport Oreca, just over three tenths of a second behind Lapierre. Another Frenchman on third place with Jean-Eric Vergne in the #26 G-Drive, just ahead of Enzo Guibbert in the #40 sister car. To complete a fully french top 5 was Matthieu Vaxivière in the #33 TDS Racing. Phil Hanson was the first non-Oreca driver, putting his #22 United Autosports on sixth place. 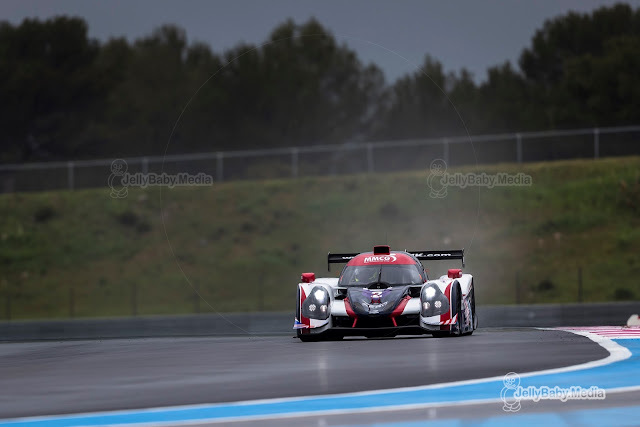 After his off in the morning, Alexander Toril now set the fastest time in the LMP3 class: a 1.51.819. Matthieu Lahaye finished second fastest again, losing out 0.239 seconds to the other Norma. Third quickest was Matthew Bell in the #3 United Autosports Ligier, meaning two out of the three fastest drivers “graduated” from the Michelin Le Mans Cup last season. Gianluca Roda was quickest again in the GTE class, improving almost 2 seconds compared to the morning session. His laptime of 1.54.628 was almost two seconds faster than in the morning session. 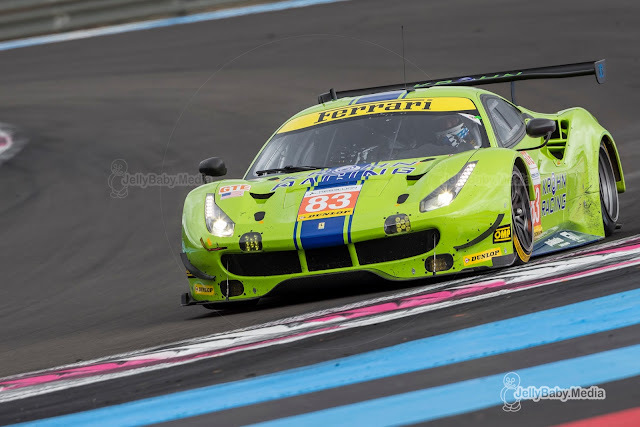 Miguel Molina was second fastest again in the #66 JMW Ferrari, now trailed by Andrea Bertolini in the Krohn 488 GTE. The evening/night session was rather quiet, with just over half the field heading out on track for the 2 hour session. Henrique Chaves set the fastest time of the day in the #30 AVF by Adrian Valles' Dallara, going round in 1:41.018, topping off 0.751 seconds from Lapierre's afternoon time. Second fastest in the session (and overall) was Ben Hanley in the Dragonspeed with 1:41.371. AVF and Dragonspeed had the fastest drivers of the day with Konstantin Tereschenko on fourth place. 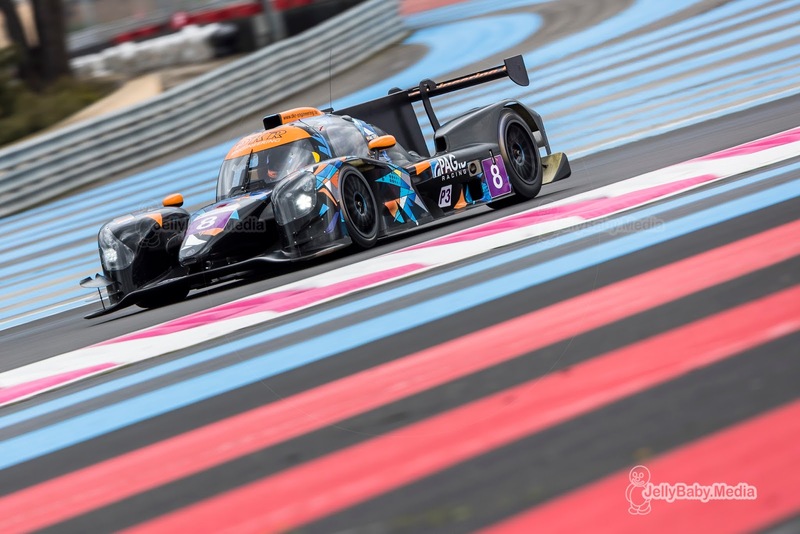 Best of the rest was Norman Nato in the #24 Racing Engineering Oreca 07 – another new team debuting in the series – just under a second behind Chaves. 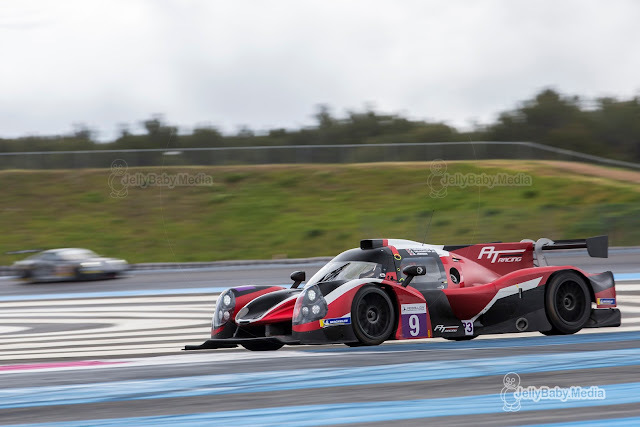 Alexander Toril set the pace again in the LMP3 class, pushing his #8 DKR Engineering Norma round Paul Ricard in 1:51.363. The long Mistral straight – without chicanes – really suiting the speed of the Norma M30. Mikkel Jensen in the #9 AT Racing Ligier was second fastest, half a second adrift from Toril. 17-year old Kay van Berlo was third fastest in the #11 Eurointernational Ligier in 1.51.612. Van Berlo was the second young Dutchman of the day who got into the top spots after Job Van Uitert set the fourth fastest time in the afternoon session. Just one GTE car on track yesterday evening: the Krohn Racing Ferrari of Nick Jonsson who did seven laps. The ELMS official test continues today at Le Castellet, with a four hour session in the morning and the afternoon.